It is with great pleasure that I introduce our first guest post. Its author, Emily Thomas, is a postdoc at the University of Groningen where she currently holds a Netherlands Research Council (NWO) Veni grant. Emily Thomas works on early modern, and early twentieth century, metaphysics. She is the organiser of the forthcoming conference Early Modern Women on Metaphysics, Religion and Science. Several years ago, whilst sitting in the dim stacks of a Cambridge library reading unwieldy, dusty journals, I came across papers by Hilda Oakeley. Her work – on time, history, idealism – keyed into my own interests but I quickly discovered that there was no literature on it. This led to a project: bringing Oakeley into the scholarly fold. One way that the history of philosophy can be of instrumental value to philosophy lies in its ability to reconstruct views that seem utterly alien, and in doing so challenge present orthodoxies. To illustrate, consider idealism, the view that mind actively constructs experience. The vast majority of twenty-first century philosophers reject idealism, and it is useful to remember that such widespread agreements can be questioned. With this in mind, this piece will offer an informal introduction to Oakeley, and explain one of the reasons why she is an idealist. In 1899, Oakeley became Head of Canada’s first residential women’s college, the Royal Victoria College at McGill University. As a lecturer in philosophy, Oakeley became the first woman member of their Faculty of Arts, and the first woman to deliver McGill’s annual university lecture. Oakeley’s memoirs reveal her consciousness of the political issues surrounding women during this period. In 1905, Oakeley returned to England, and became a university lecturer at Manchester. However, at Manchester (unlike in Montreal) Oakeley felt that she lacked a ‘definite place’ in the philosophy department, and so she returned to London, where she became a lecturer in philosophy and vice-principal at the women’s department of King’s College. From 1921 she took up her academic career full-time, and became head and acting head of King’s Philosophy Department from 1925 to 1931, twice chairing the University of London’s board of studies in philosophy. In 1940-1, Oakeley served as President of the Aristotelian Society; she writes that their meetings gave her ‘keen pleasure’. She also served as Vice-President of the British Federation of University Women, from 1909 until her death. Oakeley drew from the history of philosophy – particularly Plato and Leibniz – but she was also an active member of her contemporary community. Oakeley engaged directly with philosophers such as Bosanquet, F. H. Bradley, H. Wildon Carr, Samuel Alexander, John Macmurrary, Susan Stebbing, C. D. Broad, J. M. E. McTaggart, and R. G. Collingwood. Oakeley was a hugely productive philosopher, and throughout her work there is a sense that she is pursuing her research agenda inimitably, careless of swings in fashion. Oakeley published tens of papers, and six books of philosophy: a collection of essays, History and Progress (1923); an edited collection of classical texts, Greek Ethical Thought (1925); two monographs primarily concerned with the nature of persons and history, A Study in the Philosophy of Personality (1928) and History and the Self (1934); and two works of political philosophy, The False State (1937) and Should Nations Survive? (1942). 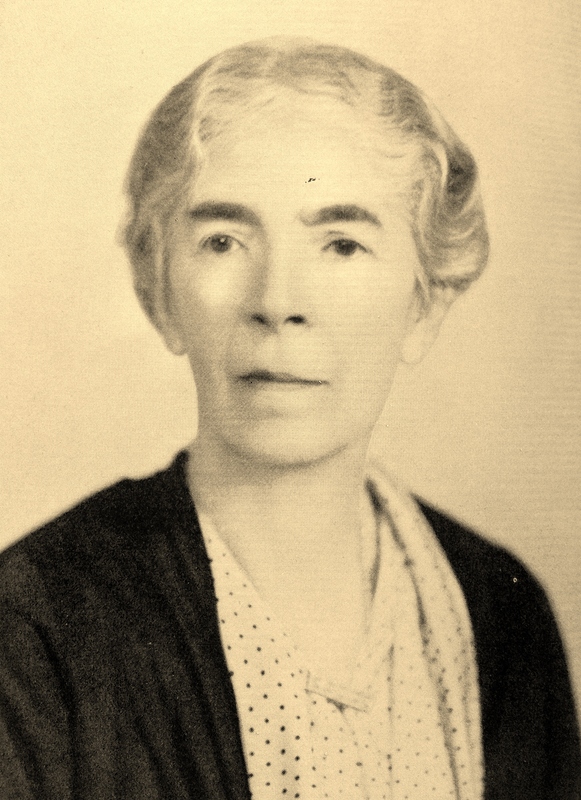 Oakeley also published her memoirs, My Adventures in Education (1939); and a volume of poetry, A Philosopher’s Rhyme and other Stray Verses (1937). Some writers are prolific whilst saying little that is meaningful. This is not the case with Oakeley, whose texts suggest deep currents underlying the waters of her thought. It is, however, difficult at times to see the wheels driving those currents. Here are two reasons why Oakeley can be hard to read. First, the kinds of issues she is concerned with – such as how best to understand idealism – are unfamiliar to many twenty-first century philosophers. Second, Oakeley attended the Bradleyian school of philosophical writing, an issue compounded by her poet’s tendency to slip into prose. Despite these difficulties, peering into her thought is rewarding, as I will illustrate by discussing one of Oakeley’s most puzzling ideas. [T]he activity of the mind is primarily shown in memory, and the novel or unknown in experience falls into some order as entering into the universal of memory. The thesis which it is sought to establish in this paper, is that through the new order thus arising there is not merely loss, but gain in the province of mind, or the worlds of experience it, so to speak, traverses (Oakeley, 1926-7, 302). To understand this ‘activity of the mind’, it must be appreciated that Oakeley’s idealism is not the absolute idealism of Bradley, or the personal idealism of McTaggart. Unlike these idealisms, Oakeley accepts the Kantian thesis that there is the mind-dependent, known ‘world’ of our experience; and there is the world, unknown as it is in itself, outside of mind. However, Oakeley’s account of how mind informs its experience is very different to Kant’s. Henri Bergson argues that memory is involved at any present moment of perception. Oakeley builds on this and goes beyond it, arguing that ‘creative memory’ is the process whereby the mind absorbs chaotic sense impressions generated by the mind-independent world, and weaves these chaotic impressions together to actively create the orderly world of our experience. An individual mind achieves this by drawing on its memories. The idea, I believe, runs something like this. Consider a botanically-ignorant person dissecting a large jungle flower: he would experience a confusing mass of slippery tubes, textured curves, and spherical bodies. In contrast, consider a botanist dissecting the same flower: she would experience perianths, stamens and ovules. The botanist is bringing her existing knowledge – her existing memories – to bear on the flower. Additionally, there is a case to be made that the experience of the botanist phenomenologically differs from that of the non-botanist: the botanist doesn’t see tubes or textured curves, she sees perianths and stamens. This is the kind of activity that is continually ongoing in creative memory: what is ‘novel or unknown in experience falls into some order’ through memory. And this is why the world, the world that each individual mind experiences, is one of memory and history. Oakeley’s idealism rings strange to our ears but, if we make an effort to work it through, we can see how it might be plausible. Oakeley’s metaphysics provides a fresh way of challenging the widespread view that our minds are passive with regard to our experiences. Further, Oakeley’s work – along with that of other women philosophers being excavated from other dusty tomes – reminds us that the male-dominated canon is not all there is to the history of philosophy. Behind the canon is the history as it is in itself, waiting to be read in a new way. This entry was posted in Early Modern, Guest post. Bookmark the permalink. Thank you for bringing the work of Hilda Diana Oakeley to my attention as you’ve made me want to read more of it.